Ok, I'm just going to reinforce what everyone else is saying here. I know it's an old topic but there are purists and I feel like I want to say something because this hasn't really been settled. Enemy of the Empire is the most conclusive evidence there is. The entire Jango thing is weak as it is positioned differently. 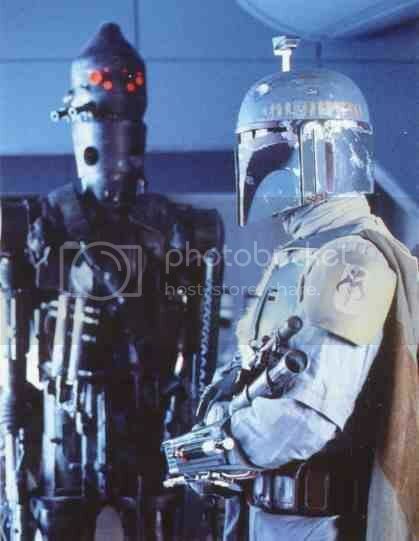 As Jaster said a while back he got the dent when Vader reflected the bolt back at him and hit him in the head. The helmet was consistently clear until that point in time where it appeared. This all goes back to your view of EU but to me this explanation works. That is all. the dent is from jangos battle with the reek. the reek throws him with its horns and dents his helmet. it is canon, it is on film. 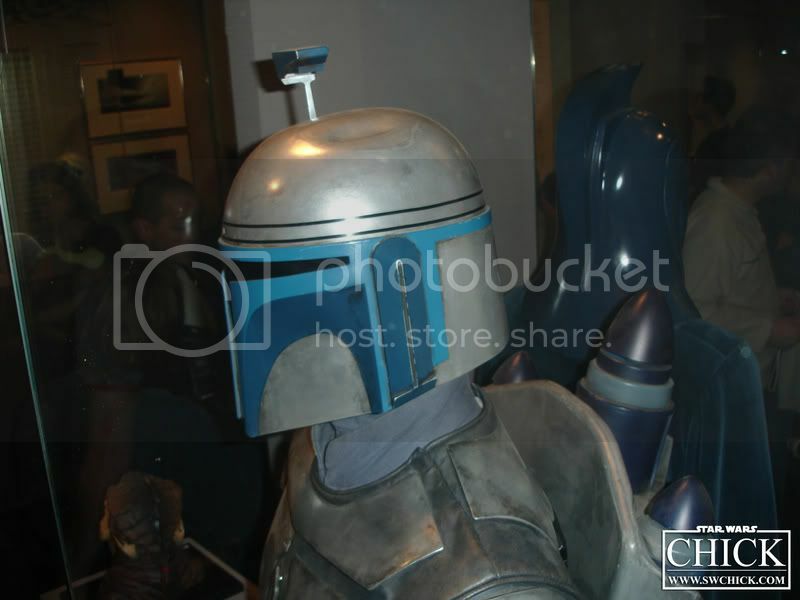 Actually, if you look at Jango's helmet, it's a different type of dent. You hear him hit his head when he's getting into Slave 1 after battling with Obi-Wan on Kamino. His head even bumps down as he hits it, and you can hear the clang. 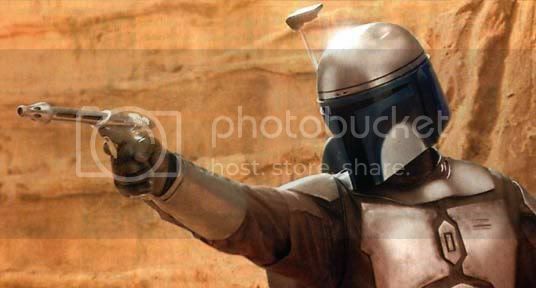 If you look close, Jango's helmet has a dent that's in the shape of a line and it's located higher on the helmet. 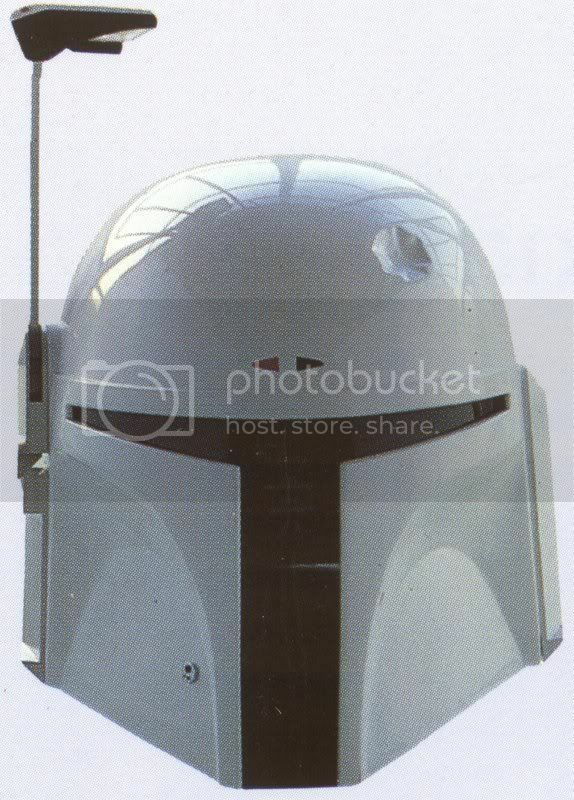 Boba's dent is located more towards the front of the helmet and is more circular in shape. The scoring around the dent suggests it's from a blaster hit. 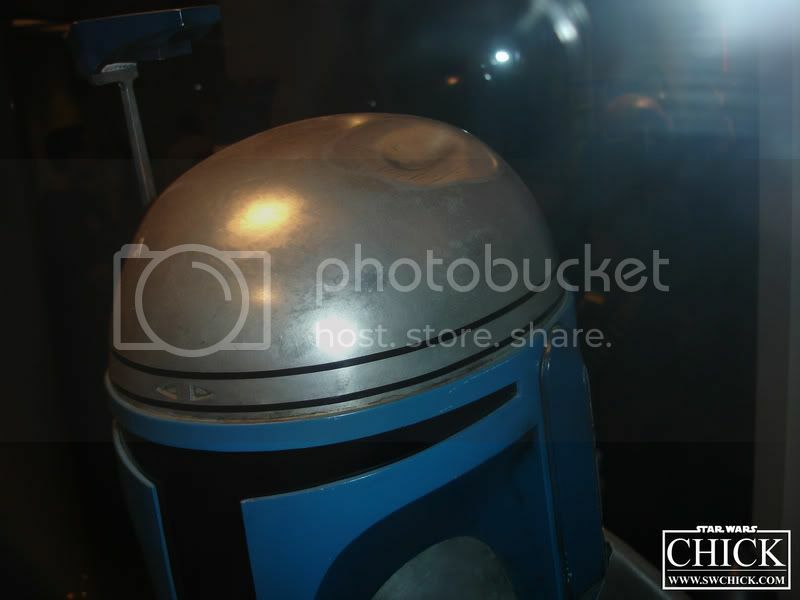 Jango's never had any type of scoring around his dent, since it was more mechanically done. Make sense? Wow!! Didn't mean to put so many pics on here, but you see what I'm saying? Its in a very different location. i know it is...and it also got smaller too!!! I wish i could do that for the dents on my car! 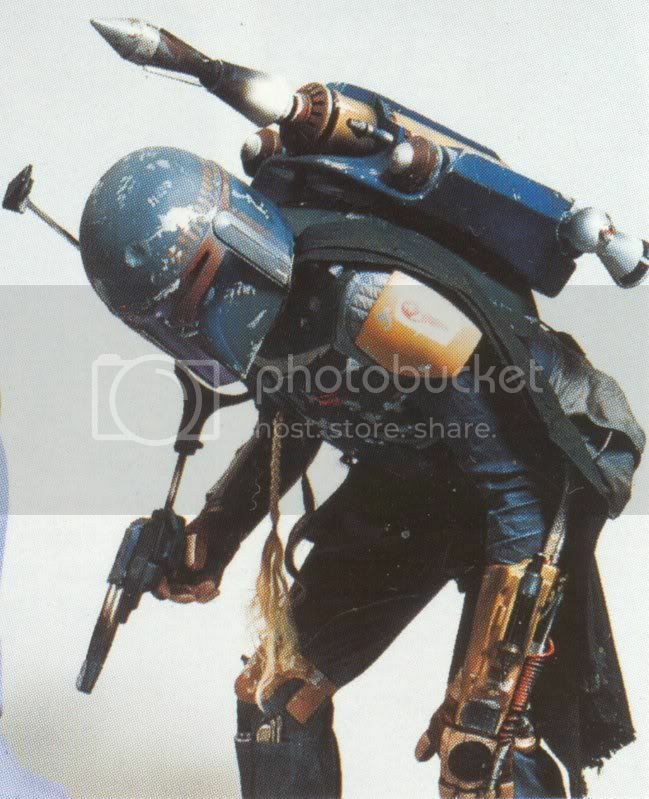 Also, in a semi-canon Tales comic, when Boba's usual armor is stolen, he uses Jango's. when his armor is STOLEN????? Don't care how canon that is, it's going in my trash list. 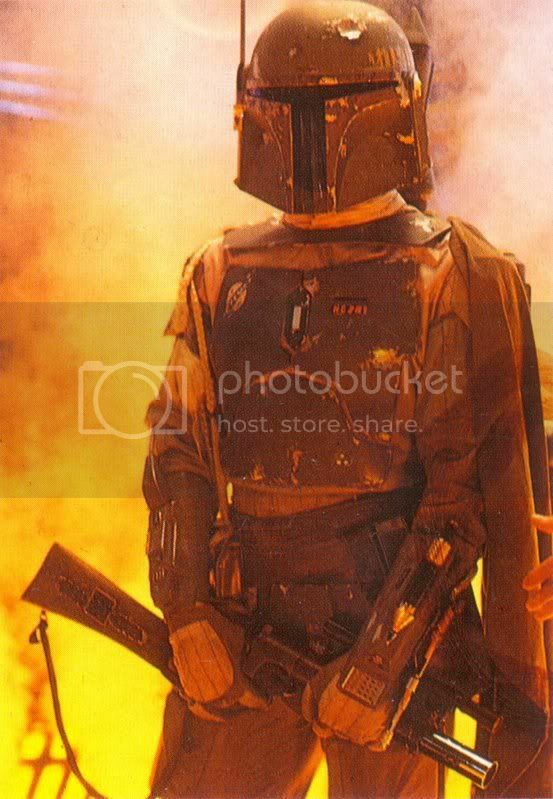 Also, AMAZING pic of Boba you found Sadriel!!!! The one of him standing in the carbon freezing chamber *I think, the one with the smoky/orange background*. Wish I had that in life size! On topic, I don't know much of anything about the EU, but Sev's argument seems to wrap it up pretty well, and Sadriel's pics prove Jango's and Boba's arn't the same. 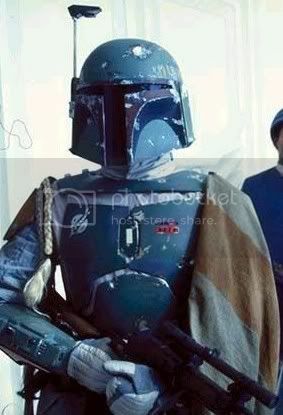 However, I don't agree with the 'head bump' theory, unless we're saying Mandalorian iron is a LOT softer then I was led to believe. Where ever Jango got his, I don't think it was from that scene. 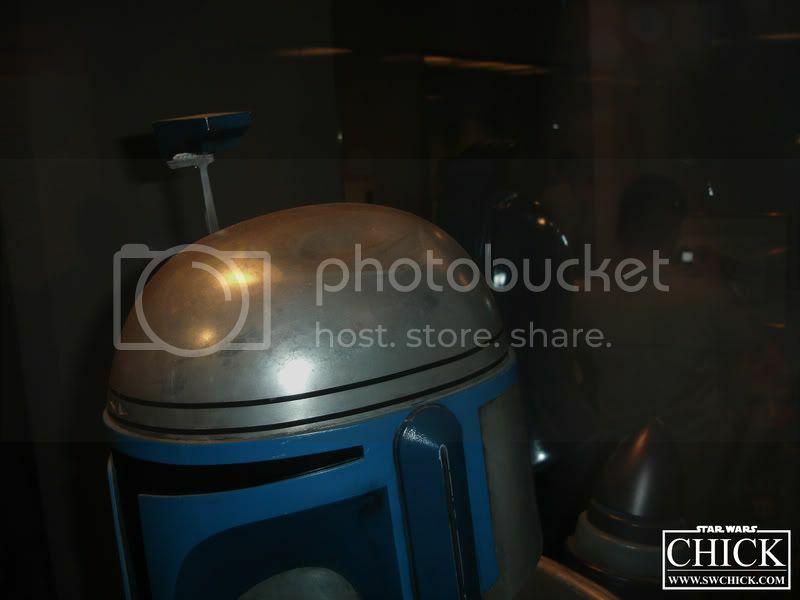 Is Jango's helmet made up of Mandalorian Iron? I never really gave it thought. 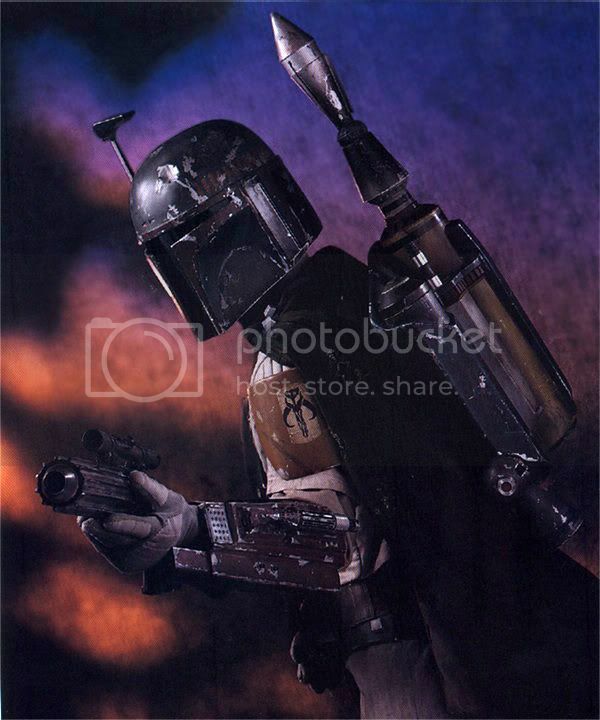 The only thing about Boba using Jaster's armor, is that Jaster would have had beskar plates---Boba has durasteel. He gets beskar armor for the first time in Revelation (Legacy of the Force). Which dent? There are to many!! I know one was caused by a dislodged part of his ship just nearly slicing his head off man! !